This is the first part of a chapter that I am revising for my Gettysburg text. 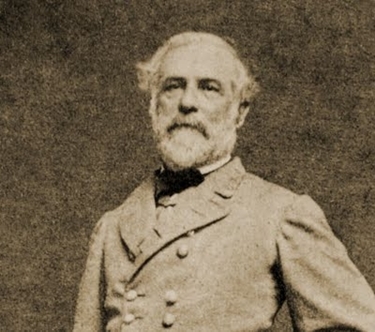 It deals with the problems faced by Robert E. Lee as he attempted to reorganize the Army of Northern Virginia following his victory at Chancellorsville and the death of Stonewall Jackson. Over the next few days I will be posting sections on each of the Confederate army corps and J.E.B. Stuart’s Cavalry Division. The later sections will be largely biographic sketches of the leaders of the Confederate Corps, Divisions and Brigades. Eventually I will have a similar chapter on the leadership of the Army of the Potomac. An issue faced by armies that are forced to expand to meet the demands of war is the promotion and selection of competent leaders at all levels of command. It has been an issue throughout American military history including during our recent wars in Iraq and Afghanistan. The expansion of forces, the creation of new units, combined with the operational demands to employ those units often creates a leadership vacuum that must be filled. Sometimes this results in officers being promoted, being given field command or critical senior staff positions, who have critical deficiencies of leadership, character, intellect, experience or lack the necessary skill sets to do the job. We may not see this as often in a long term professional military which has been at war for a significant amount of time, but during the Civil War it was something that both sides had to wrestle with, even for high level commanders. The nature of the armies involved, the high proportion of volunteer officers and political appointees coupled with the dearth of officers who had commanded anything larger than a company or widely scattered regiment made this a necessary evil. A major part of Lee’s problem was organizational. In 1862 Lee inherited an army that was a “hodgepodge of forces”  which was organized in an “unwieldy divisional command system, where green commanders out of necessity were given considerable independence.”  That organization was tested and found wanting during the Seven Days campaign where on numerous occasions division commanders failed to coordinate their actions with those of adjacent divisions or failed to effectively control their own troops during movement to contact or combat. Shortly after the Seven Days Lee reorganized the army, working with the material that he had. He divided the army into two wings since “Confederate law still did not allow for corps commands”  under Jackson and James Longstreet. Each wing was composed of four divisions and consisted of about 30,000 troops apiece. Both would be appointed Lieutenant Generals and their command’s recognized officially as the First Corps and the Second Corps in October 1862. These were massive forces, each nearly three times the size of a Union Corps in the Army of the Potomac. The organization worked well at Second Manassas, Fredericksburg and Chancellorsville, although Longstreet’s corps was detached from the army at the time of the latter. When Jackson was wounded at Chancellorsville on the first night of that battle neither A.P. Hill nor J.E.B. Stuart were able effectively commanded Second Corps during the remainder of the battle. Instead of appointing one man to command Second Corps, Lee reorganized the army and created two corps from it. He stripped a division of Longstreet’s First Corps, that of Richard Anderson, to join the new Third Corps. 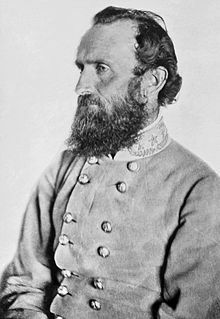 He also divided the large “Light” Division, which under Hill’s “intelligent administration probably is the best in the army”  into two divisions, one commanded by Dorsey Pender and the other by Harry Heth.